As I write, over 30 schools are closed in and around Georgetown, Guyana as flash floods have once again hit the already below sea-level city and surrounding areas. What stands out in our minds is the warning to drink only “treated water”. What precisely does the Government mean in the context of drinking safe, potable water, is it not already treated, could it be contaminated? No it is not contaminated at all. Potable water is safe to drink but flooding presents different challenges to even the potable water supply. Guyana is full of brilliant scientists and engineers who work with water, water quality and wastewater and yet reminders must be issued to those who still in 2013 drink “river water” or do not understand the risks inherent in flood water floating around with domestic sewage therein. Still today and yesterday some residents were offended by Guyanese officials “The Civil Defence commission (CDC) said that while yesterday’s flooding did not reach “alarming” levels, it also said that it was ready to address emergencies with public support. 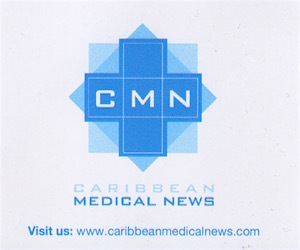 CDC’s Major Kester Craig told Stabroek News, “Well prepared… is relative. If you are talking if there is like a Hurricane Katrina emergency, not so sure… But we are ready to coordinate with the resources we have should there be flooding.” His remarks were followed by many comments on the online version of the Stabroek News. Ironically and perhaps timely, is the fact that a Wastewater Media Workshop is being hosted and ended today (Thursday, 28th) as water was slowly receding but schools remained closed. The workshop was hosted by the GEF-CReW-UNEP Project based in Jamaica and focused on wastewater as a resource, wastewater in tourism, wastewater for development, wastewater reclamation and diseases in water and much more. Meanwhile, many people were walking barefoot in storm water, drinking river water and memories of the severe flooding in 2010 in Linden that resulted in death are still remembered. To this date Linden still has flooding issues. However, life and public health remain urgent issues to be addressed in the event of flooding. This must be done through education and disaster preparedness. We need to take water sanitation and public health safely no matter where we live. The Guyana Water Government website tells all in Guyana to boil water for drinking, brushing teeth, making ice, washing fruits as a precautionary measure. In addition, residents are asked to store collected rainwater in clean containers and then treated with one drop of bleach per litre of water, stirring the bleach using a clean spoon. 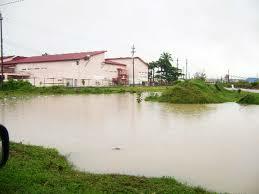 Guyana Water Inc. also reminds us that in flooding, there is a possibility that flood or storm water may seep into the pipe network and may include sewage, seepage from pit latrines or animal faecal matter. All faecal matter has disease-causing pathogens that when water borne can cause major illness like cholera, typhoid and other diarrhoeal disease. Naturally, good hygiene after visits to the bathroom, when handling food, blowing one’s nose or playing with animals are all recommended. This is not just topical because there is flooding as we speak in Guyana but that it could happen anywhere in the Caribbean. We need to get proactive and discuss flooding and public health responses on an individual, community and governmental level. The next outbreak could be in your country or mine. Let us make it our business in the United Nations Year of Water Cooperation to seek out those authorities and experts in our various territories to discuss water and sanitation long before disaster or even flooding at this level should strike. Be safe everyone. Remember your French neighbours who suffered Cholera in an outbreak in our regional neighbourhood. Haiti is just next door.